In August 2012, the UK Border Agency (UKBA) revoked London Metropolitan University’s status as a visa sponsor under Tier 4 of the points-based system of immigration. As a result, over a thousand students found themselves with 60 days to find a new university at which to study or face deportation. The university was faced with the possibility of losing a key source of income and possibly shutting down as a result. Universities across the country took note: the UKBA have the power to seriously impair the ability of universities to carry on operating and their instructions must be followed. This incident may seem like a little local administrative difficulty, but it illustrates a new role for educational institutions in the UK. 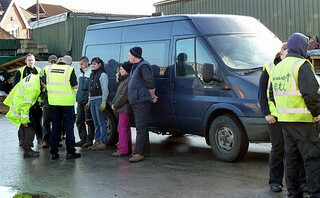 We have become border sites, places where individuals are sorted into those permitted to be in the country and those who are not on behalf of the UKBA. This sorting is largely done by teaching staff, who are not paid for it and are often unaware that they are doing it. It forces students to study in approved ways, decided for them not by themselves or their institution but by the state border agency. It forces institutions to maintain systems of surveillance, removing from them their ability to decide what constitutes appropriate student behaviour. The implications of this new role, for students, for staff and for the structure and the ethos of educational establishments, are far-reaching and under-examined. 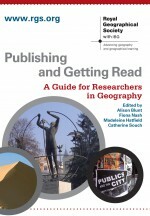 Geographers, with our body of literature on borders and their effects, are well placed to undertake such an examination. About the author: Matt Jenkins is an ESRC-funded doctoral candidate at the Centre for Urban and Regional Development Studies, and is a Postgraduate Fellow of the RGS-IBG. His commentary, ‘On the effects and implications of UK Border Agency involvement in higher education‘ is published in The Geographical Journal. This entry was posted in The Geographical Journal and tagged Border Agency, education, Global Issues, government, HEIs, immigration, International student mobility, London Metropolitan University, Political Geography, Social Geography, surveillance society, UK, UKBA on January 16, 2014 by RGS-IBG Managing Editor: Academic Publications.